Listen in to learn exciting trivia, such as which two Newhartites voiced seminal cartoon characters! 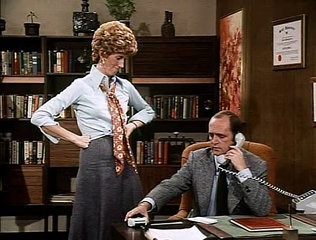 Find out who compared Bob Newhart to a dragon-slaying choirboy! Discover which cast member went "the Full Hesseman" on stage! Enter our sweepstakes to win a copy of Jeanine Furino's (aka Retro TV Lover) new book, All the Single Girls! Just leave a review on Apple Podcasts and drop us an email with your Apple Podcasts ID by 6pm Pacific on Thursday, April 5, 2018! Details are in the show and full rules are available by clicking HERE or going to http://tvmuseumpodcast.com/apple-podcasts-review-contest-rules.